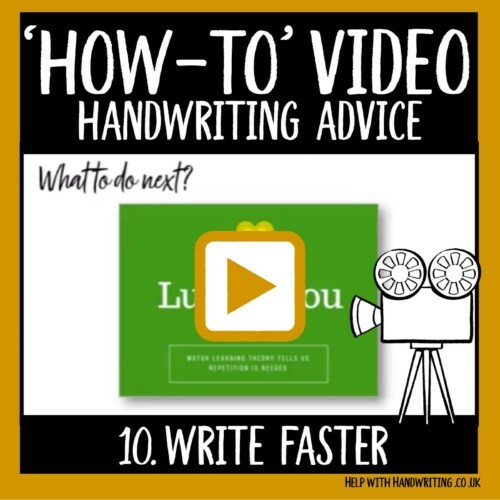 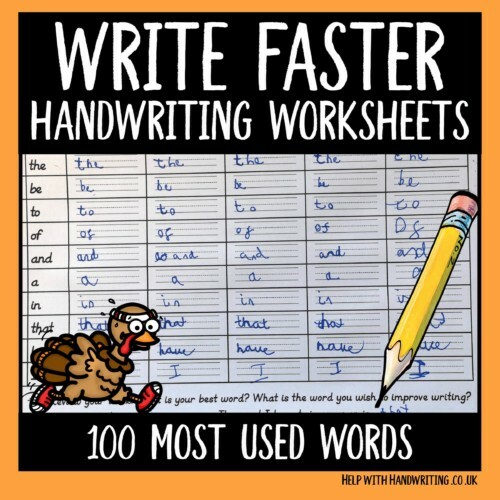 Being able to write fast is the last skill learnt with handwriting. 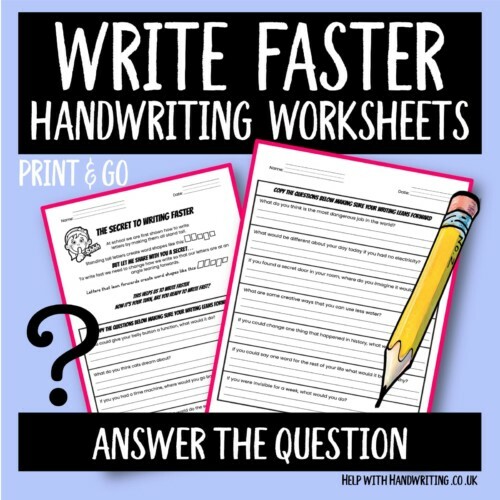 Before your child attempts these worksheets make sure that they have fully mastered letter legibility and pencil control skills. 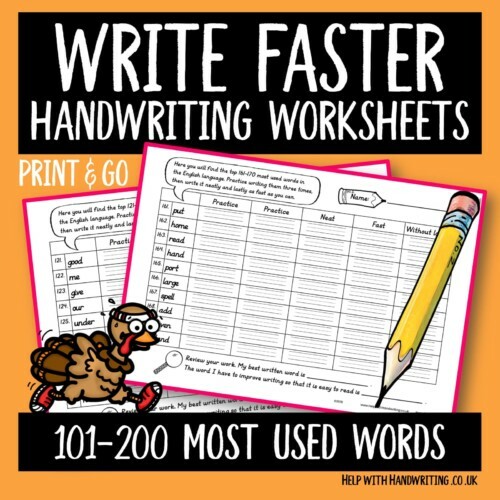 Practice writing the 100 most used words in the English language to improve writing legibility and speed. Write it twice, write it neat, write it fast and write it with your eyes closed.